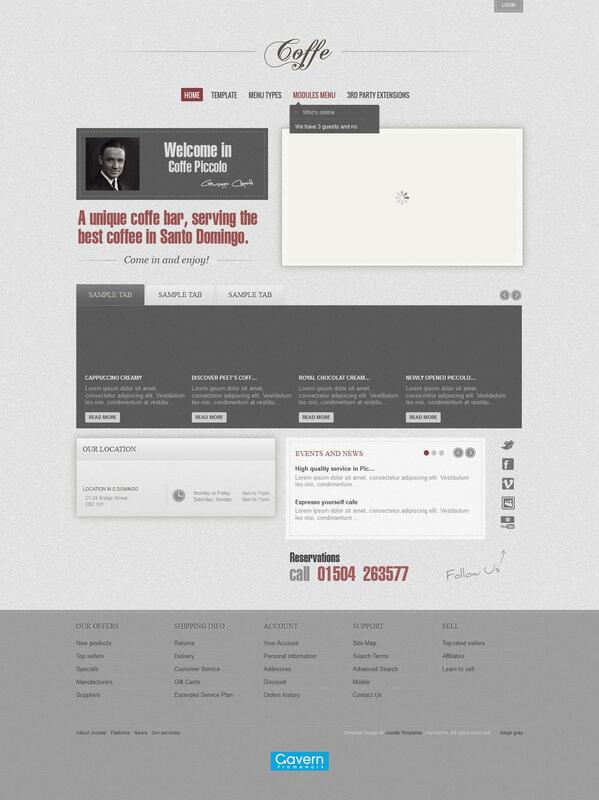 GK Coffe - elegant theme for CMS Joomla from popular design studio GavickPro. Magnificent and original design of the template is ideal for creating a website about coffee, where anyone can not only learn something new about this wonderful drink, but also to read about different coffeemakers. Coffe powerful extension support content management K2, and includes additional expansion studio: Tabs GK5, tool news News Show Pro GK4 and display images Image Show GK4.